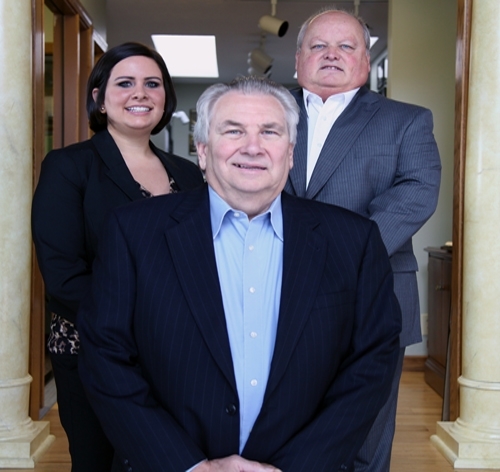 Hackenberg Financial Group (HFG) is an independent financial planning firm that has been serving Northeast Ohio since 1986. Whether it's planning for your children to attend college or establishing a plan that will allow you to enjoy retirement, your savings and investment planning play a vital role in helping you achieve your financial dreams. Headquartered in Canton, Ohio, HFG provides truly independent financial and retirement planning for individuals and families. We strive to deliver objective, unbiased and customized recommendations for your individual needs. The HFG team of professionals will take the time to understand your specific goals and integrate a tailored financial program to help manage your savings. With additional experience in the areas of tax preparation and planning, health, life and disability insurance plans, and Medicare and long-term care tools, we help coordinate all the aspects of your financial plan. We believe it is essential to utilize a coordinated plan where all your advisors - financial, tax, legal and insurance - can collaborate and ensure that the critical elements of your plan work together. Our comprehensive approach to a well thought out, customized plan includes working with established institutions such as the Stark Federal Credit Union, where we have served its members since 2010 and our partner attorney and CPA. It's our goal for you to really understand your personal finances and financial products. We make this possible through our consultative approach and by offering regular educational workshops to help you continue to learn and grow. HFG also offers a unique and focused area of experience in retirement planning for educators. Retirement planning can be quite a bit more complex for teachers due to various school district and pension system rules that are constantly changing. At HFG we have already done the research and evaluated various strategies for teachers so you can understand your options in building a retirement plan. For more information, download our free guide 'Eight Smart Ways for Teachers to Maximize Their Retirement Benefits'. At HFG, we're always looking for ways to help you get on the right financial track and maximize your retirement savings. Schedule your free consultation and start planning today by calling us at 330-489-9999 or 800-310-0315.